A continuación encontrará todos los testimonios de golfistas que han alquilado nuestros palos de golf durante sus viajes de golf. Service quite good. Friendly staff. However I would prefer to have had a greater choice of golf clubs. 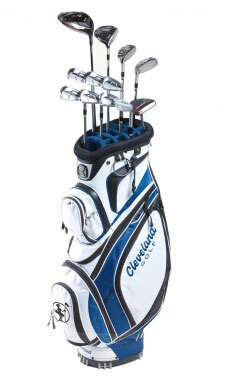 Good choice of clubs at a competitive price. Collection was very quick. Clubs played fine, bag was large and lighweight. Had a short waiting time when I dropped them off. Arrived a little early for pick up but we we’re only waiting a couple of minutes to collect our bags. The service , quality of clubs and cost was top class , 5 stars all around . Service was excellent from ease of internet booking to ease of collection and dropping off at airport. Quality of clubs could have been a little better. I booked 2 sets of Callaway and 1 set of Srixon. The head of the 5iron on the Srixon came off on the 2nd round & both the Callaway sets were a little shabby. The clubs were OK but the bags and the head covers were worn out. First class service, friendly, helpful nothing too much trouble. Wouldn’t hesitate to use next time. very easy to book and pick up at airport, office was closed when we arrived but someone turned up within 10mins, quality of clubs were not good but as no other clubs to be had, had to do with them. unkompliziert Abwicklung. Das Bag entsprach der Online-Beschreibung. Ich bin sehr zufrieden! High quality of service and comms confirming pick up/delivery but the quality of clubs this year was very poor. Your staff were polite and helpful. As a left handed golfer, there were extremely minimal options. When I arrived to pick up my clubs I discovered they were graphite shafts (despite there being no mention of this during the booking process or the order confirmation). I use stiff flex steel shafts at home and this affected my game significantly as I had to really slow my swing down. The carry bag also didn’t have stand legs, which was a pain. I also discovered that I paid significantly more than my friends paid for their clubs (they also used your company). They suggested this might be because I was left handed?! Surely not??!! Overall, I was left feeling pretty disatisfied and disappointed. The clubs needed to be re gripped. No need to look elsewhere...just rent at airport or personal delivery to your hotel or resort with Your CaddyMaster. Cleveland irons excellent. Woods were well used and needing replaced - poor. Very efficient service. Easy to use online booking with good choice of clubs. Clubs delivered to hire car and returned with car at airport. We would definitely use Mycaddymaster again. First time using Caddy Master, and quite happy . Price is greater than competitors! First class service & equipment,no hesitation in recommending to family and friends. Everything was perfeect. It would be fine for us if you can reduce your Price on Mallorca Level. Extremely efficient service and they had left handed clubs available unlike sone of the competitors ! Found MyCaddymaster excellent to hire from although I did experience problems when trying to book my clubs via their website,but after e-mailing them they sorted things out for me and quickly.Pick up and Drop off at Palma airport was straight forward.Sou was bang on time both with both meet ups and the WhatsApp comms were superb.The Driver supplied with my set was un-useable because the grip was so worn.but I did manage to borrow another from a friend.that was disappointing but overall the service from MyCaddyMaster was superb.I would definitely use them again but would ask about standard of grips before hiring again. My only suggestion is to check that grips are not too worn. Very good service brought and picked up the clubs at the hotel.Normal set off clubs. excellent company, providing much needed quality o club hire. would use again and again. The putter in the female golfset was far to long - actually as long as the male putter. Perhaps it should be a good thing to ask about the wished length of the reneted putter . We were offered a free drop off & collection which was great. Clubs played well, I only marked them down as they were quite bashed about but I guess coming to the end of their hire life. Hugo was very kind and delivered our clubs directly to the hotel. Great service, thank you very much. It was all very efficient. Impeccable service: arrangements, follow up, pick up & drop off. Everything went smoothly and with a big smile. Thx to Helder! With Mycaddiemaster we got perfect golf clubs delivered at the hotel for no extra charge and everything went smooth! We will do it again! this is a very innovative service, good quality, reasonable price! If the shop could be managed when I arrived. It would save me time walking around airport looking for clubs. It made such a difference on the way back, as someone was waiting for me. I would rate service 9 out of 10 if arrival experience was better. My first experience using McCaddyMsdter was excellent. 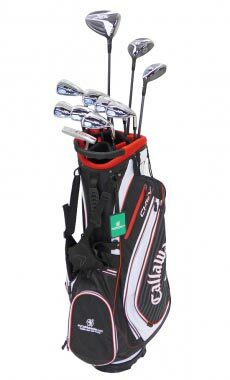 Good value, good clubs and no hassle of transporting my own or finding a set at the golf course. The experience was made as easy as possible by the Mallorca team, completely helpful and customer centric. Our flight arrival was delayed in landing but the team followed up with texts and calls to rearrange the pick up. And the same at drop off so I could mould the service to my needs. Absolutely 10/10. very good service but would appreciate assortment of tees. Renting clubs from My CaddyMaster was the best thing we did. Such a relief to have them delivered and picked up at our convenience. Everyone was great to deal with! An awesome Company run by awesome people! 10 or better in our opinion!! First time we used rented clubs there was a great selection on the website to chose from. It also saved the waiting around at the airport carousel for gear to off the aircraft. Will definitely use the service again. My Caddy Master provided excellent service: the clubs were waiting for me at my first course and the collection of the clubs occurred at the agreed time. 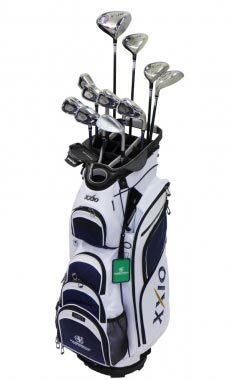 Renting clubs from My Caddy Master during my vacation gave me opportunity to try out XXIO clubs. Really impressed with the quality of the service. From the nice chap that met me at the airport, to the quality of the golf clubs that I rented. I am very happy with all aspects of the rental. Ha sido un servicio excelente, por la comodidad de tener los palos a la llegada, la amabilidad de Hugues y por los palos alquilados que me han encantado. Era la primera vez que lo utilizaba y repetiré. Daniel was very efficient, I organised for the clubs to be dropped off and collected at VDL and he was there on time for both even when I changed changed the time for the collection. Great service!! Satisfied with all clubs except driver. This was manufacturers design and not Caddymasters fault as the clubs and woods were all X2 Hot. This is a great service and Helder and Ghislane were incredibly helpful. The entire club and car rental part of the trip was the easiest by far. If you're going to play golf absolutely use this service. When we picked up our rental car Helder was there to give us our clubs and load them into our car. When we returned to drop off the car at the airport he was there to pick the clubs up. Will absolutely use this service again whenever possible in the future. What a great service and was the perfect option for me travelling to Paris from Australia with a family and not having to lug clubs around! The clubs were delivered and collected from the concierge at the hotel seamlessly. very helpful and professional representative. Good clubs, the only downside was the long queue at the Hertz desk at the airport. Great service, loved the clubs and friendly welcome. Very easy pick up & drop off. Great and friendly service. Easy pick up and drop off. A must for anyone who doesn't want the hassle of hauling their golf clubs through airports especially as i was coming from the USA through England. Fine clubs but no gap wedge between pitch and 58!! Good, friendly, all round service at a low price. Pick up and collection waiting for us when we arrived and departed at the airport. Great service, courteous & prompt delivery & collection of clubs - given the opportunity I will definitely use MyCaddyMaster again. It was my first time with your company. Next time I would check for renting car and clubs together, if available with your company. Loved the ease of having clubs delivered right to the resort. Great quality clubs unlike so many rental clubs that are mismatched and worn out. Was great trying something new. Loved every club in the bag. My hysband was disappointed with there not being a pitching and sand wedge in his bag. He did like the chipper and are thinking of getting one for our bags. Really enjoyed our golf holiday with them. This was our first visit to Mauritius to play golf. We normally would take our own clubs but decided to rent rather than to carry two golf bags and two suitcases. We were very pleased with all aspects of the service we received. The clubs we chose were delivered to and collected from our hotel. They were in very good condition. I am peculiar in that I play golf right handed but putt left handed. I asked in advance for a left handed putter for my right handed set of golf clubs and my request was fulfilled without a problem. Well done MyCaddyMaster. Great service and good golf clubs. Would recommend you to others without hesitation. They made the whole club hire experience very easy and pleasurable. Excellent service will use this company again and recommend to friends. Compliments for the staff. Mr. Helder Fereira was very friendly and helpful. No options for high loft woods or rescues. I could not get out of fairway bunkers as i did not have enough loft. A 5 or 7 wood or high loft rescues as an optional extra would be great. Also i arrjvwd by train and got a cab over to meet friends. There was no arrival options if you didn't arrive by plane. Excellent service and friendly staff, Alexander was great. 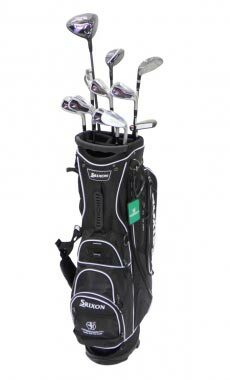 Great service and value, hiring a set of clubs for 4 days cost less than one way's baggage costs. My set came with a brand new Callaway driver still wrapped in celophane. Overall excellent service and a great alternative for short golf trips. Excellent service once again, clubs were great and waiting for us at the resort, will definitely use again. Brilliant. The service was good however you failed to provide what was asked for and paid for. I was very disappointed to find the Epic driver which I paid extra for was not provided. Great friendly service and will definitely use mycaddymaster when I next visit Portugal. The only change I would make next time round will be to upgrade the putter to the blade style that I am used to but that is personal preference and I was given the option but didn’t take it up. Was good to try a different style putter for a change though. 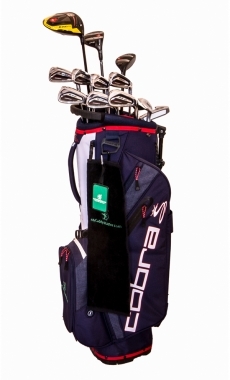 It would be beneficial if all golf bags supplied by yourselves we stand bags, as not all golfers use buggies. 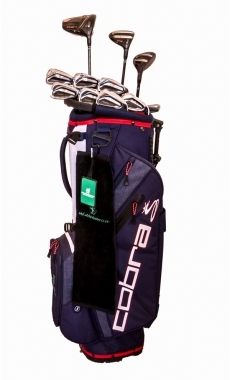 Or when ordering clubs online have a section for type of golf bag required. 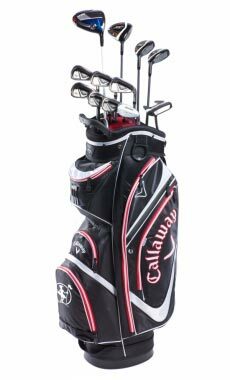 For golfers who prefer to walk a stand bag is a must. Pick up and drop off point was quite a way from the arrivals/departure terminal and it was not 100% clear where that point was. I did not have to wait to pick up and collect though. The irons were average but the Callaway woods were excellent. May I suggest giving options for smaller bags to make carrying clubs easier - appreciate some people will want bigger bags though.